Nothin' like making some chocolate with some friends on a Saturday morning. 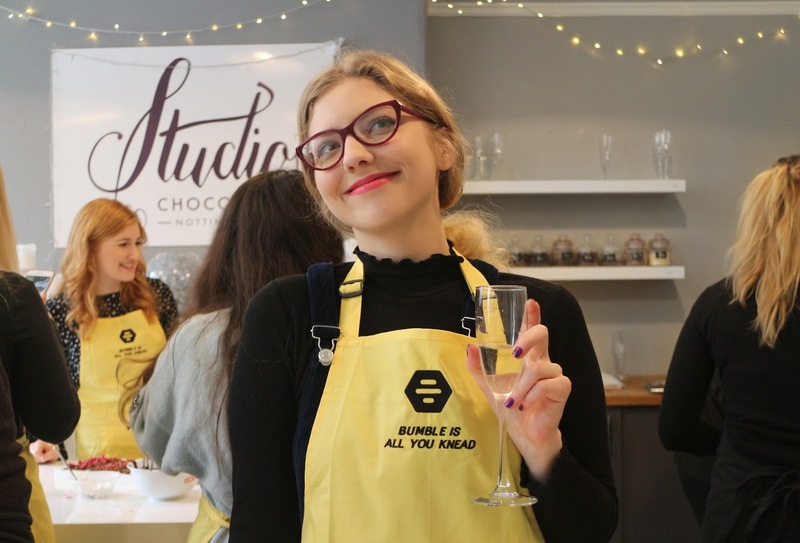 Last week I went to the recent Bumble event in Nottingham, which was a workshop in chocolate making at Studio Chocolate. If you haven't heard about Bumble yet, check out my last blog post for some more info on it. And don't forget to join the facebook page for updates on the next event. I know I've only been to two of these so far, but this meetup was my favourite. It was such a fun experience but mostly because I've never done anything like this. Some of the girls that attended have done them before but I didn't really know what to expect. As always, I wasn't disappointed. 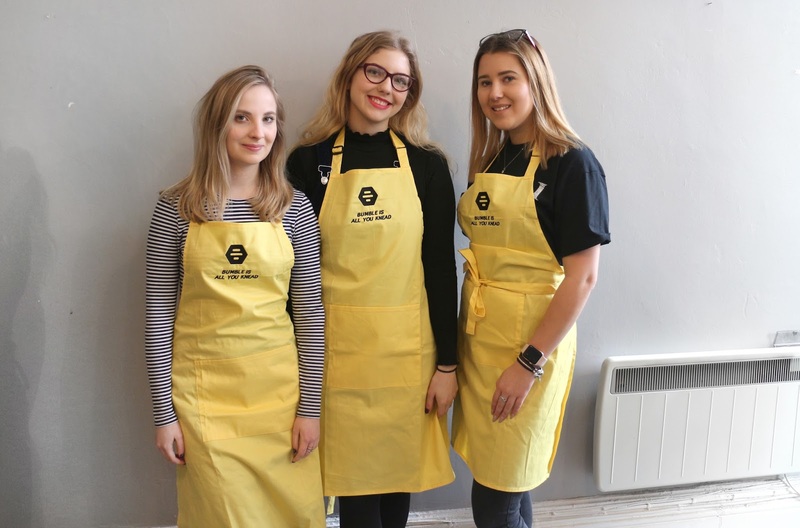 I mean look at those aprons! 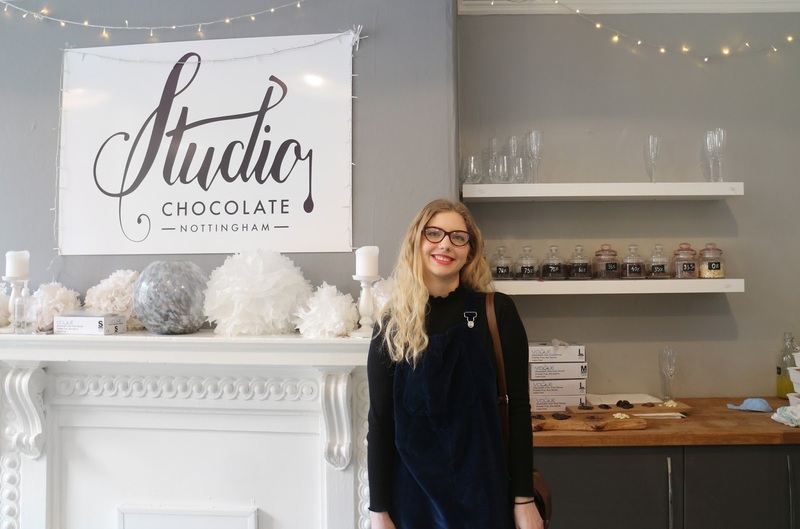 We started off the 10am session with some prosseco and a chocolate tasting. We tried some 80% chocolate and went all the way to white chocolate. It was so weird how you could taste the difference between each one, even if it was just that one percent. Then it was the fun part of decorating the chocolate. 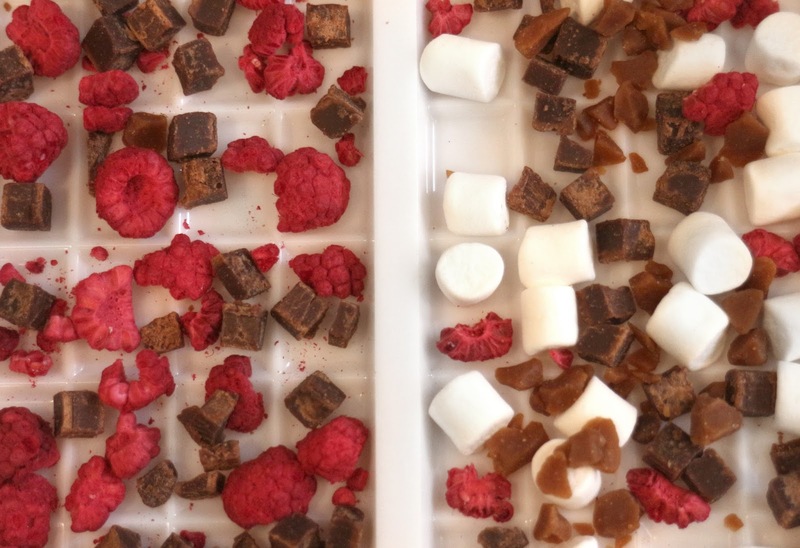 Along the tables we had some toppings to add to our chocolate bars and it suddenly became a competition to get the most Instagrammable decoration. There was raspberry crushing and careful placement of the chocolate fudge to get the perfect ratio. We did go a bit mad with them and just threw everything on in the end though. Once that was cooling in the fridge, we started on the truffles which tasted like heaven. The whole event was so fun and I'd love to do something like it again. 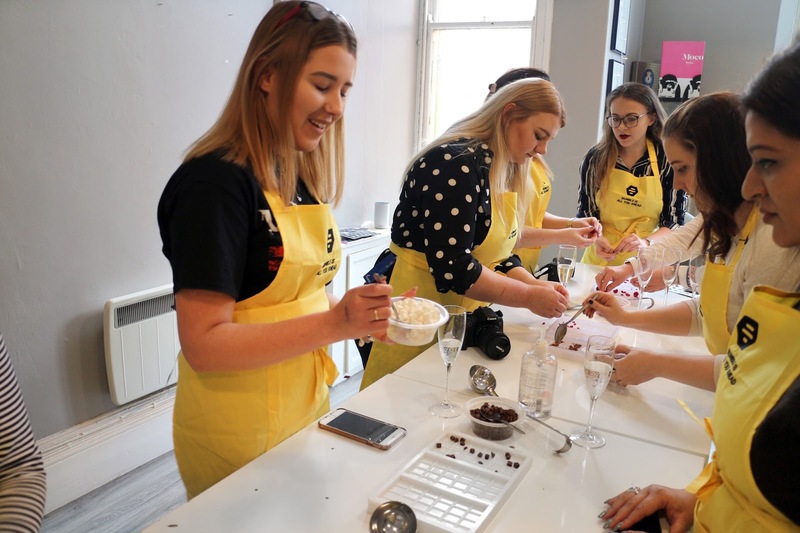 I had a quick look at the brochure and noticed they do different types of classes including an artist class where you basically make chocolate works of art! A great idea for birthday presents or any other occasions.